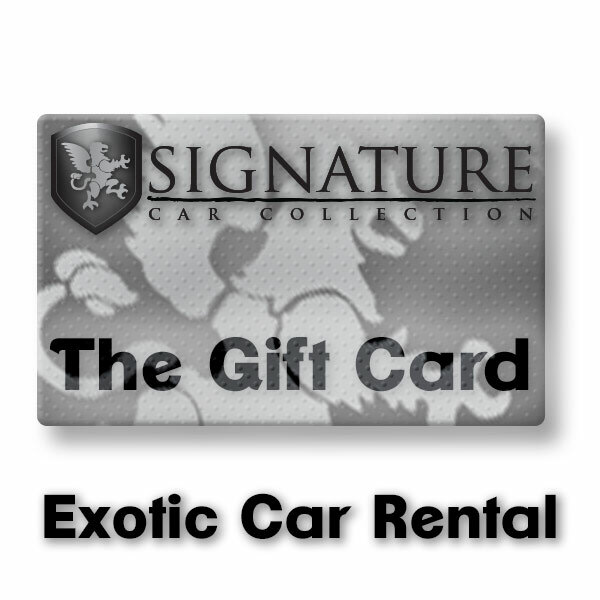 What gift could be better then the gift of Exotic Car Rental? Give your loved one, your friend, your coworker, your neighbor, your dog walker or even better yourself the gift of driving a Lamborghini, Ferrari, Maserati, McLaren or any other make from our Collection of Vehicles. It will truly give that special someone in your life a day or weekend that they will never forget. We offer gift cards in multiple value increments starting from $500 and up. Need multiple cards? Give us a call at 1.877.511.1876 for a bulk discount. PLEASE NOTE: Gift Cards are only redeemable within 300 miles of our Headquarters in New Jersey. Our philosophy is quite simple: provide clients with concierge-level customer service while offering the finest selection in luxury and exotic vehicles. We keep our rental process simple, the paperwork to a minimum, and the policies straightforward; all to hand you the keys to your dream car in as little time as possible, hassle-free. In line with our philosophy and top-notch customer service, we are ready to work out any and every detail you need. Not only can we pair you with the right car for impressing your co-workers, surprising your fiancée, or filling your inner child with excitement, but we’ll even pick you up from the airport or anywhere on the East Coast with a fully serviced and gassed up automobile of your choosing. Our process is quick and painless so you can spend more time at the wheel and less time signing papers.